A thousand thanks for dropping by our website. Please also visit our Facebook page. DJ’s, radio stations, and listeners, a million thanks for making our first and second Adonda Records of Nashville albums, “Spirit of Yosemite” and “Cowboy Songs,” number 21 and 20 respectively, on the Top 30 Cowboy/Western album charts of the Western Music Association. Our third Adonda Records of Nashville CD, “Western Songs,” was released in early 2017. 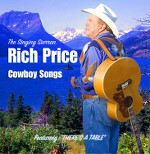 One of the songs, “Nashville, Tennessee,” has achieved Hot Disc Europe Top 40 chart success. 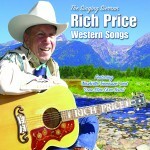 The Country Connection HWD Radio playlisted not only “Nashville, Tennessee,” but also another song from the album, “Canyon Grand,” and resulted in airplay for both songs in the UK. 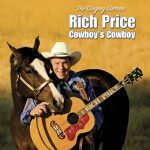 A fourth Adonda Records of Nashville CD, “Cowboy’s Cowboy,” has also been released in 2017, and “Bronc Bustin’, Fun Lovin’, Waltzing Cowboy,” one of the songs on the album, has also achieved chart success in Europe in the Hot Disc Europe Top 40. I hope that you will enjoy your visit. I look forward to visiting with you and shaking hands with each of you in the near future. 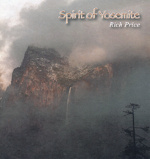 Please contact me at rich@richpricethesingingsierran.com.